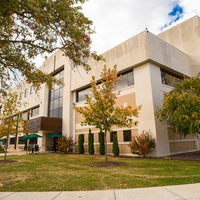 The Health Professions Center is home to the College of Nursing and Health Professions. Features include the 450-seat William L. and Trudy Mitchell Auditorium, a state-of-the-art Simulation Center, the Charles E. Day Learning Resource Center, a dental hygiene clinic and dental laboratory, instructional laboratory, lecture rooms and classrooms. I was hoping to get more out of it. I believe it is something the young people definitely need to hear and feel he was a very entertaining speaker, one that the young people could relate to. I enjoyed it. The framework offered was sound. The presentation was great, the material is overwhelming!!! Very amazing program that I feel students should take truly opens your eyes about society. Captain Greener visiting a nursing class for a demonstration.